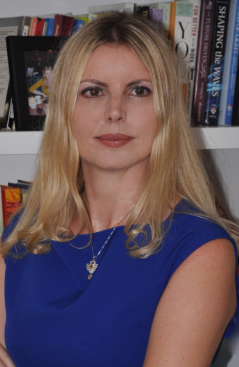 Katina Stefanova is the founder and board member of Accordance Technology. She has enjoyed huge success in the asset management industry and was most recently a Management Committee Advisor and Senior Executive at Bridgewater Associates, the largest hedge fund. She started her career at IBM, Mergers and Acquisitions in London. Accordance Technology was founded this year, has it been successful so far? Accordance Technology is an expression of my partners and my desire to make the asset management space more transparent and better managed which is good for investors. I have written a lot about the issues in the asset management industry including lack of adequate transparency for investors, misalignment of incentives between the investment firm and the ultimate investors, outdated technology. (See How to Disrupt the Investing Business? and Why Taxes and Trading Costs Kill Investment Returns?). As a result of helping address these issues, Accordance has been incredibly successful. We have attracted top-notch talent with both deep asset management experience and technology knowledge. We have also caught the attention of the asset managers themselves who are trying to solve the problem of how to manage client money more responsibly and transparently. Accordance provides insight into the Chief Investment Office, the CEO/COO or Board in some cases on whether each portfolio manager invests responsibly and consistently with internal investment strategy requirements, client guidelines and ultimately regulatory requirements. To build Accordance, our team has applied the same lessons that I have learned from my experience at Bridgewater Associates (Top Three Entrepreneurship Lessons from Ray Dalio), such as how to think about the problem I am trying to solve systematically, build an exceptional team and remain flexible. Thinking about the problem systematically in the case Accordance meant finding a business problem that clients need solved. Being flexible is a must as the Accordance management team had to evolve the strategy a few times until we struck a business model that clients were excited about. Above all, the key to success is creating a team of leading experts including the CEO, Chuck Dooley, a repeat entrepreneur; Steve Yatko, one of the most advanced technology advisors in investment services; Ken Tremain and Michael Rose, risk and asset management veterans and Michael Krimm, a top performing Bridgewater alumnus. I am a believer that an A team can transform a B idea into an winning strategy but a B team will miss the opportunity of an A idea. How much has investment technology changed since you first started out in M&A? Investment technology is on the verge of tremendous disruption. Most technology innovation happened in the consumer space due to the growth of such behemoths as Google, Amazon, Facebook. These companies found technology solutions on how to learn and manage huge amounts of data in an intelligent way. Financial Services, burdened by legacy technologies and systems that were difficult to replace, was slow to follow. However, there are now multiple factors that are creating an impetus to change in asset management – tightening regulatory requirements, a more educated investor base, greater competition among asset management firms and concentration of assets in the larger players, and the availability of data management technology, machine learning, flexible user interface solutions. Accordance which spun out of Oktay Technology started as a strategic technology advisor to the financial services firms, large banks and asset managers and then started to productize the solutions we were advising on. What has been your biggest challenge so far with Accordance Technology? All challenges in a start up are large and equally critical. Once one challenge is resolved, another one pops up. Start ups are incredibly sensitive to making mistakes because all resources, money, time and talent are scarce and limited. The challenge that I spent most time on and constantly think about is whether we have the right team in place to execute what needs to be done. My lesson learned at Accordance and historically as a manager is never to compromise on the people I bring in. When you first started out in Mergers and Acquisitions, what was the first important thing you learned? When I started as a young manager at IBM, Mergers & Acquisitions in London, my first challenge was rather unexpected. I expected to be challenged by learning the market or how to deal to international execution, or new technology. Instead my most notable challenge was learning how to manage people, specifically men and older than me. In particular I remember having to manage a male colleague who was a few years older then me and who had been in the company longer. I had a hard time getting him to cooperate and was quite frustrated. I shared my experience with my direct manager at the time, who was a wise Cambridge educated gentlemen who had spent 20 + years at IBM after serving as a monk in the Catholic Church. I was fortunate to have a manager and a mentor like him. He basically told me that this is a challenge I will encounter my entire career. In fact, the better I do the more pronounced that challenge will be. So I have to get over it and not wish it to go away but learn how to deal with it. He also shared some suggestions on how to build my confidence, align incentives and at times just ignore some of the more petty issues. I share this lesson because I think it would be useful to other young women starting their career. You have had a very successful career, but what do you feel is your best achievement? I am grateful for the opportunities given to me, because I come from nothing and moved to the United States when I was 18 years old with only a few hundred dollars in my pocket. I have not had a typical career path and have both worked in small start ups, as well as large established organizations. (Katina Stefanova Linkedin) I still have big dreams and goals that I would like to accomplish and think that my biggest career accomplishments are in front of me. However, by far the most valuable achievement in my life has been creating meaningful and lasting professional relationships and friendships which have carried me over from one business challenge to the next. I would not have been able to accomplish what I have accomplished in life without an extended network of amazing colleagues, friends, mentors and family members. I am blessed to be surrounded by people that are greater than me in many ways. I have shared some of my thoughts on the importance of relationships in the article: Why Every Woman Needs a Mentor. Life is a long journey and it is impossible, as well as a lot less fun, to be travelling alone. In your opinion, what has made your leadership so effective in strategic management? There are many things that lead to success, but I believe that virtually everybody can reach their goals in business or personally. I credit some good personal habits to my success – setting goals and writing them down, designing a team and the business model to achieve these and above all not giving up when I encounter failure. Almost everything that I have accomplished in life, I first failed at and tried again and again until I succeeded. The key is to learn from ones mistakes and to adapt ones approach. The biggest deterrent to success is fear. Ask yourself what would happen if I fail? Most of the time, you would see that the downside of failing while trying to accomplish your dreams is less than the downside of not trying at all. Do you have a motto in business or life? If by R Kipling exemplifies my philosophy in life.